Do you want a bright white Instagram feed? 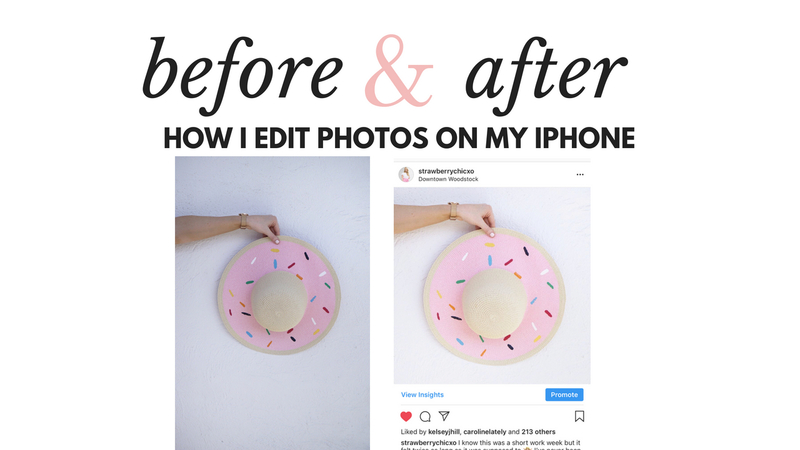 I’m back with another photo editing tutorial and this time I’m sharing how I edited this donut hat with a white background. I used my 3 favorite iPhone editing apps that you’re familiar with if you’ve seen my other editing tutorials! Let me walk you through how I edited this photo. In snapseed I like to work mostly on the background. I love using the selective tool and brush tool to brighten the background of my photos without over exposing myself or the focus of the photo. For this photo, I used the brush tool with exposure at 0.7 and brushed it over the entire photo. Then I dropped the exposure down to 0.3 to erase the over exposure on my arm and donut hat. For this photo, I did some brightening in Facetune. This app is great to whiten or add detail to specific areas. It can also smooth your skin and erase a blemish if you’re self-conscious of your skin. Just be careful not to overuse it! I used the filters tab and clicked on lighter. This does something magical to the lighting that looks different from exposing it. This brightened up the photo enough so I didn’t add exposure like I typically do in Instagram. I always do finishing touches in Instagram. This photo was already bright from the previous edits, so I just added a little warmth, structure, saturation, and sharpened to get the final photo. I don’t usually add structure, but for this photo needed more dimension with the very bright white background. Photos with a white background and simple styling are always the quickest to edit. 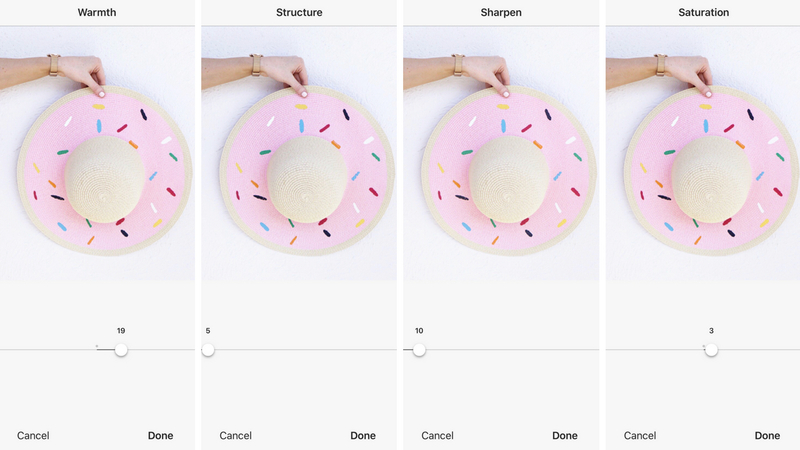 If you’re struggling to get the bright and white Instagram feed you want, try simplifying your photos and styling in front of a white background. Any other photography or blogging topics you want me to cover? ?